1. Volunteer monitoring: adopt a body of water or landscape and help protect it from invasive species! SLELO is currently forming volunteer monitoring networks throughout the region; we provide training and forms to record observations of invasive species! A. 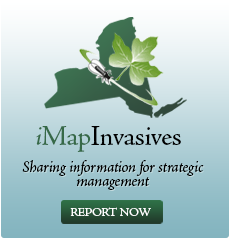 Learn how to identify Invasive species in your area. B. Take a trip to your favorite body of water and look for species of interest. D. If possible- remove the species and properly dispose of it to prevent spread. 2. Clean or brush off boots and gear after hiking to remove trapped seeds and plants. 3. When choosing plants for your garden, purchase native species. 4. Clean your boat and trailer thoroughly before moving to a new body of water (it’s the law in NYS). 5. Never release unwanted pets or aquarium plants into natural waterways. 6. Don’t Move Firewood (more than 50 miles)…..you may be transporting invasive insects, too (It’s the Law). 7. Take the bait! Emptying your bait bucket into natural waterways can spread invasives. 8. Crossing the Border? Leave plants, seeds and fruits behind when crossing the border. 9. Roll up your sleeves and join in a local invasives removal event! Contact SLELO-PRISM at (315) 387-3600, ext 24 to volunteer. 10. Report sightings of invasives to SLELO-PRISM, (315) 387-3600, ext 7725.